Coronation Street star Katie McGlynn has joked she sometimes gives her neighbours a little more than they bargained for… because she walks around her house without any clothes on. But the soap star’s modesty will be covered in future as she has just had new blinds installed. She also showed off her finished living room on Instagram claiming it had taken years to get to just how she wants it. “It’s only taken me about 3 years, but my apartment is finally feeling like a home… in lurve with the last pieces of the puzzle,” she said. Katie, who plays Sinead Tinker, recently ended fears she’d be killed off from the soap by claiming she’s signed a new contract with the show. Fans were sure Katie’s character was about to leave the ITV soap after Sinead was diagnosed with cervical cancer late last year. 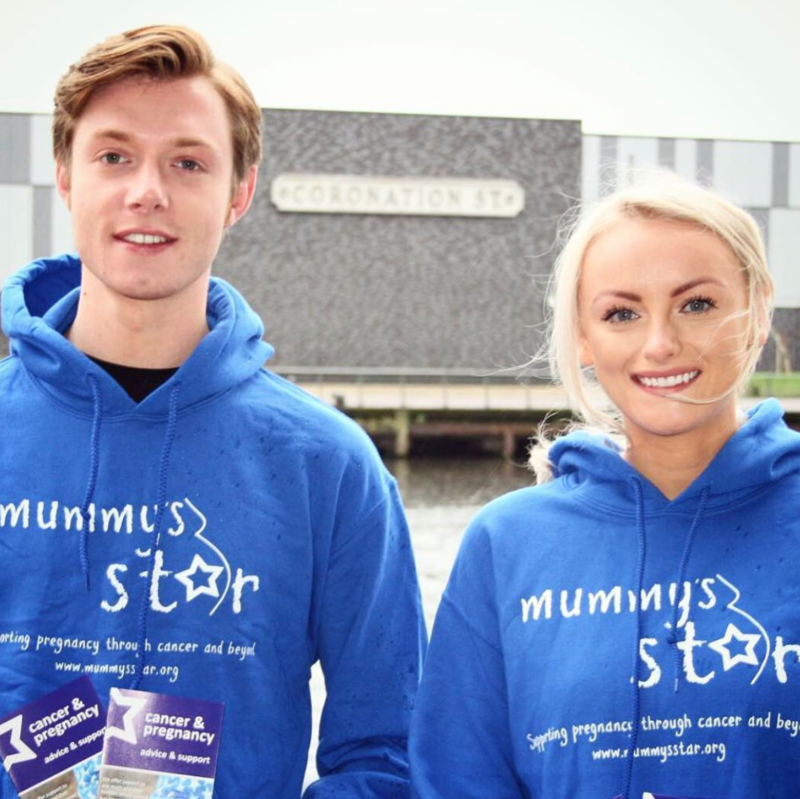 The diagnosis came shortly after Sinead found out she was pregnant, with her boyfriend Daniel Osbourne – played by Rob Mallard – arranging a Pagan wedding ceremony for her. When doctors told the Sinead she would have to terminate her pregnancy to have radio therapy to treat the cancer, she refused. But she had to have her baby prematurely – giving birth three months early. But last week’s episodes saw her come to the end of her treatment. After going through the dramatic storyline, Katie has been raising awareness for women who are diagnosed with cancer while pregnant. She’s become a patron of Mummy’s Star, and acknowledged that her character’s journey had been educational for her. Katie and Rob are both raising money for the charity by running in the Great Manchester Run 10k in May. What did you think of this story? Leave us a comment on our Facebook page @EntertainmentDailyFix and let us know.